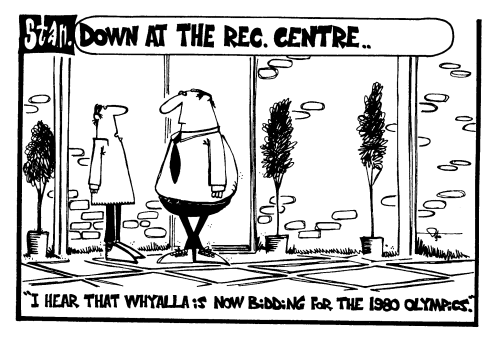 Whyalla had a tough time of it during the 1970s, although it wasn’t all bad. Down at the rec. centre ..